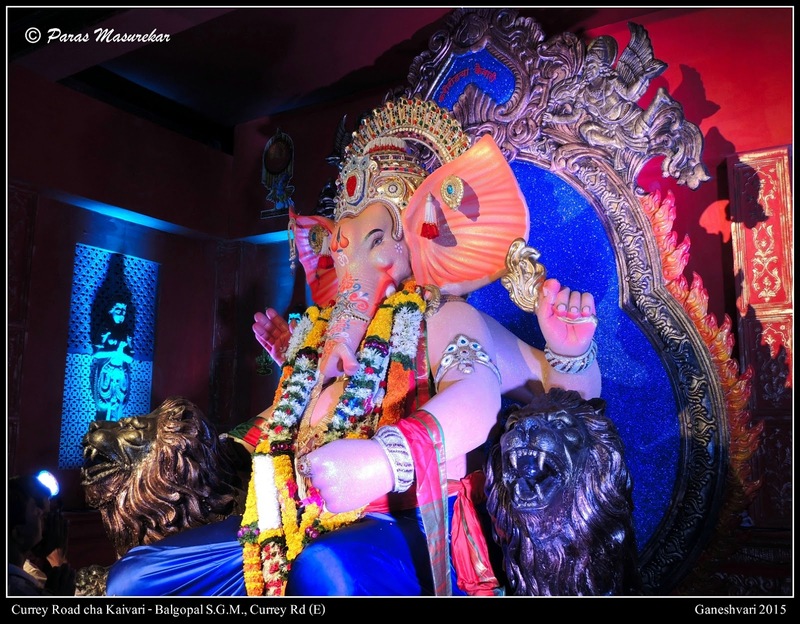 Mumbadevicha Ganraj - The Mandal was into their 75th anniversary this year. 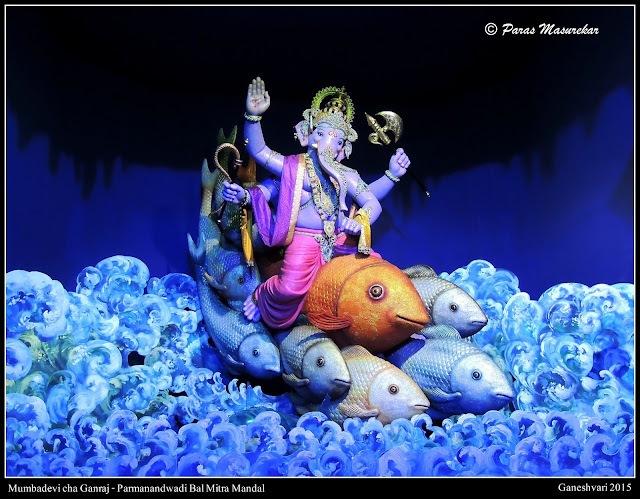 A beautiful Sea World was created with Bappa's Idol riding on fishes ! 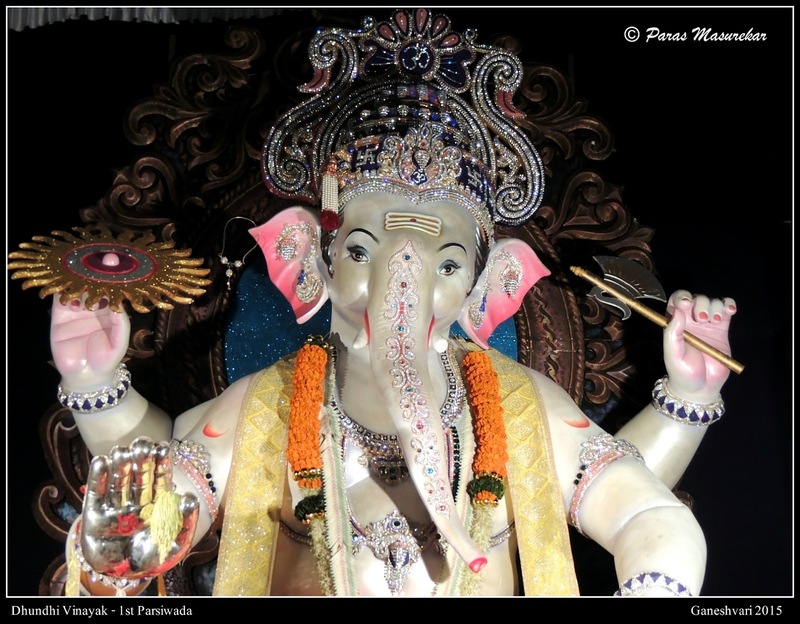 Lower Parelcha Ladka - Look at the Elegance this Idol has. 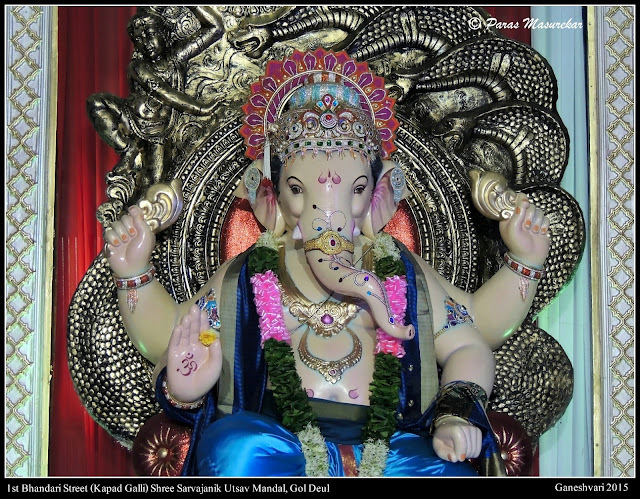 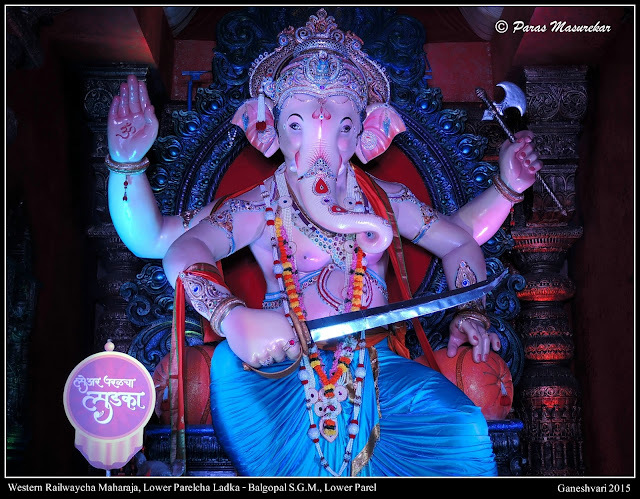 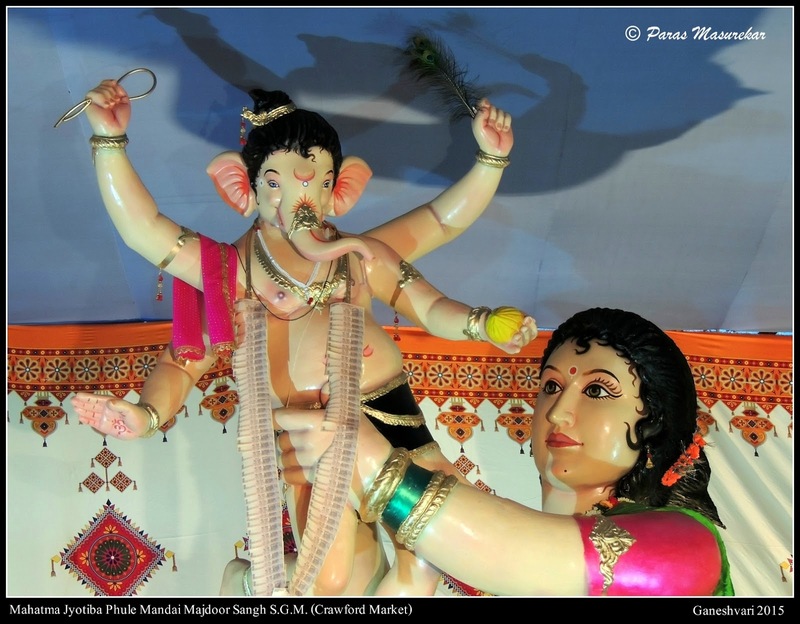 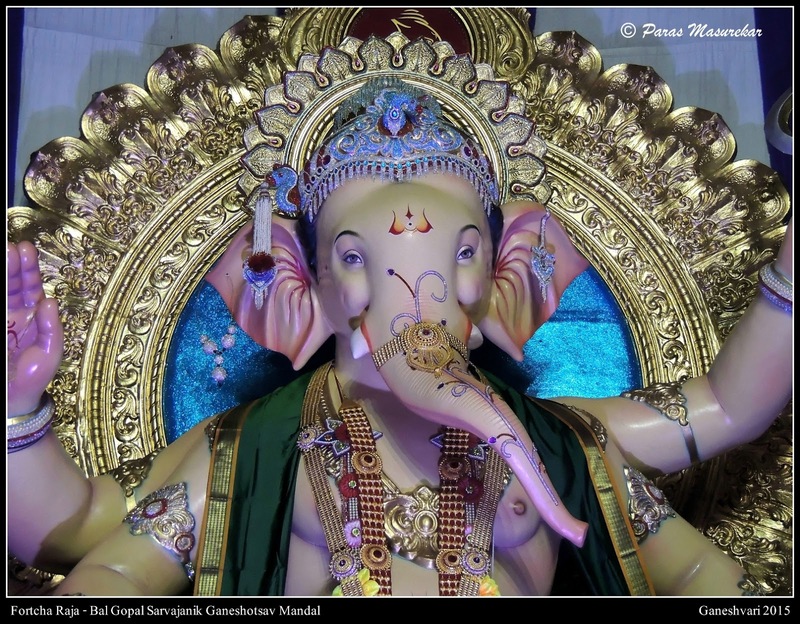 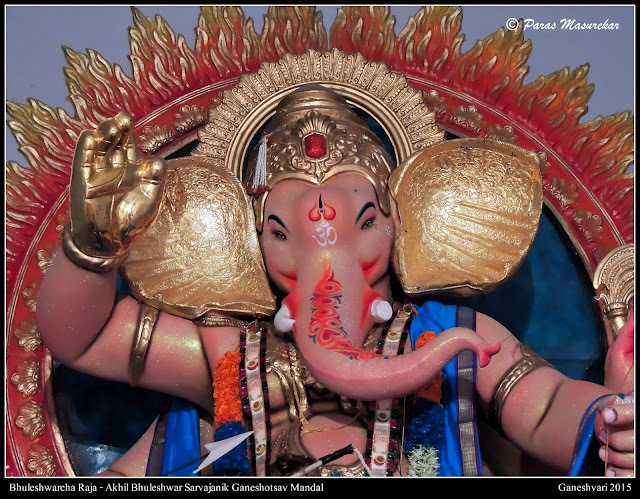 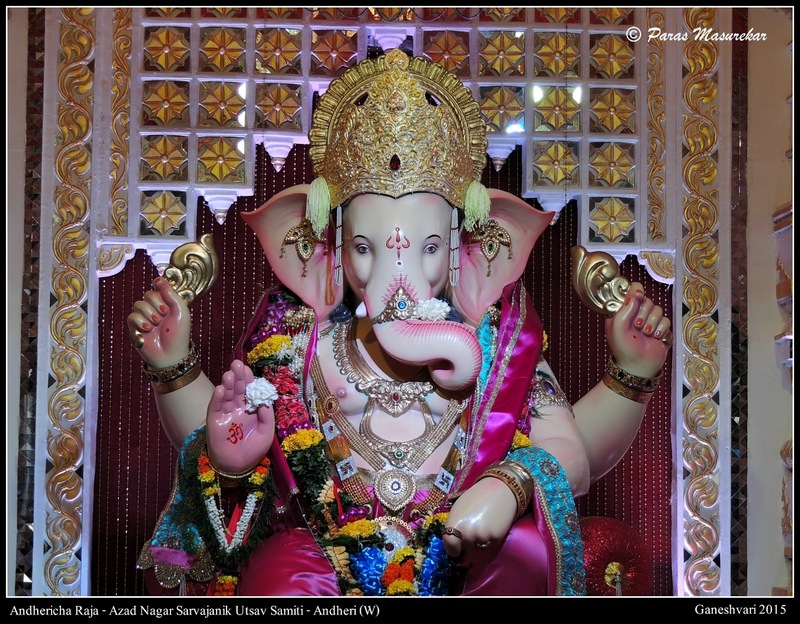 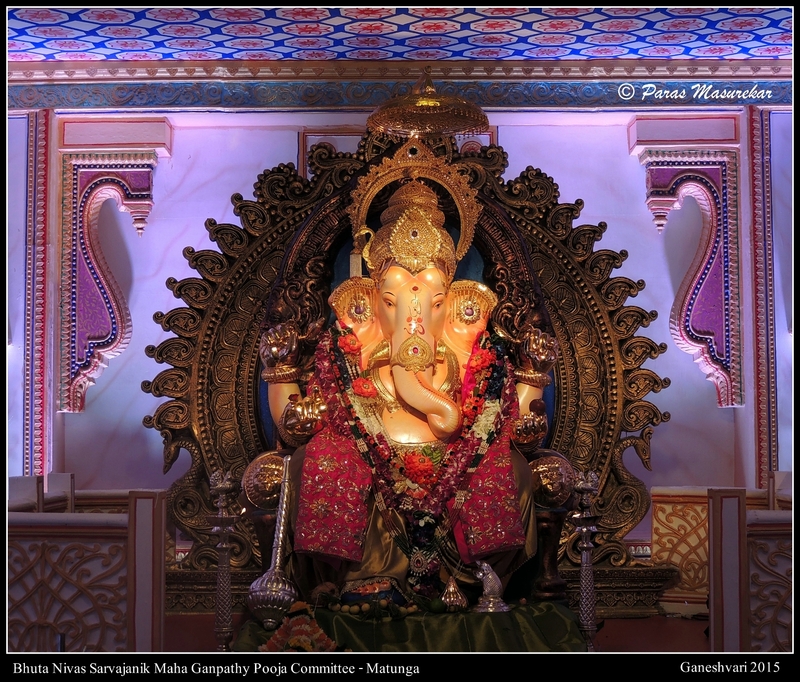 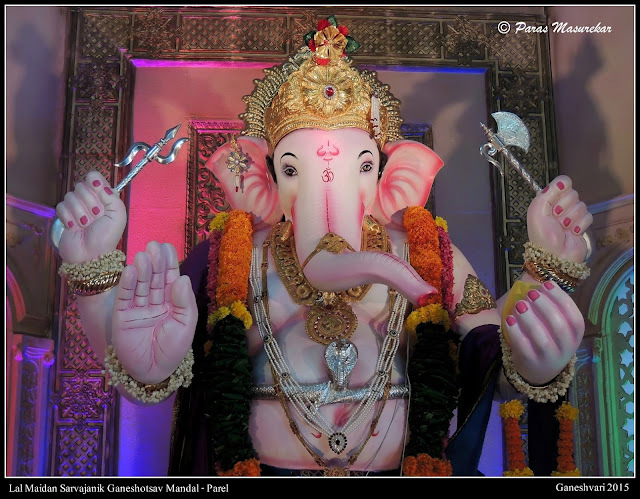 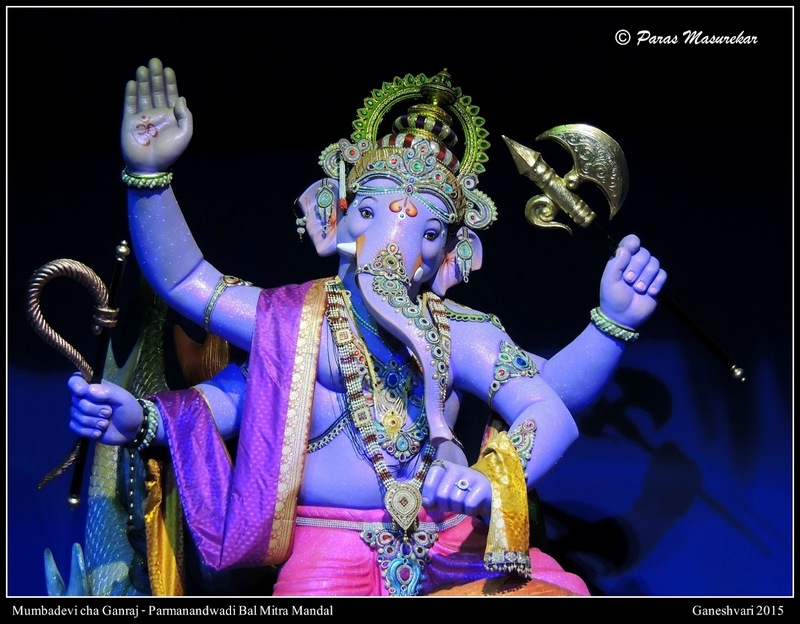 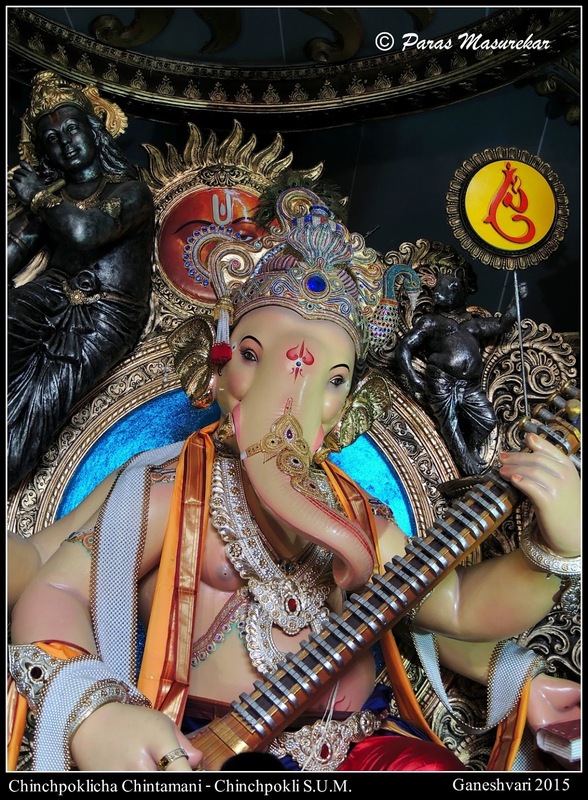 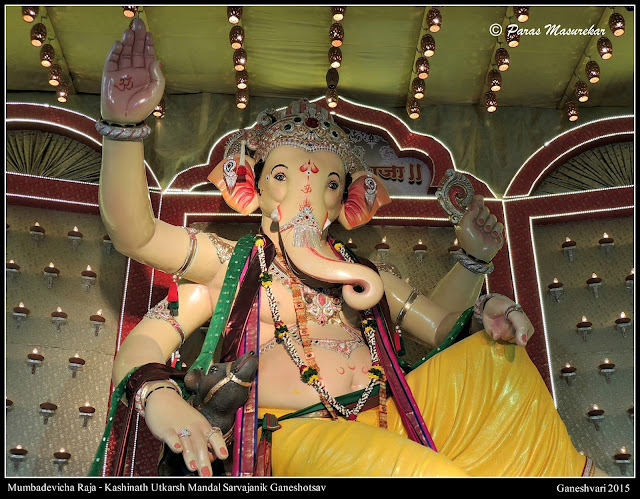 Lal Maidan Parel - This Bappa is one of my favourite. 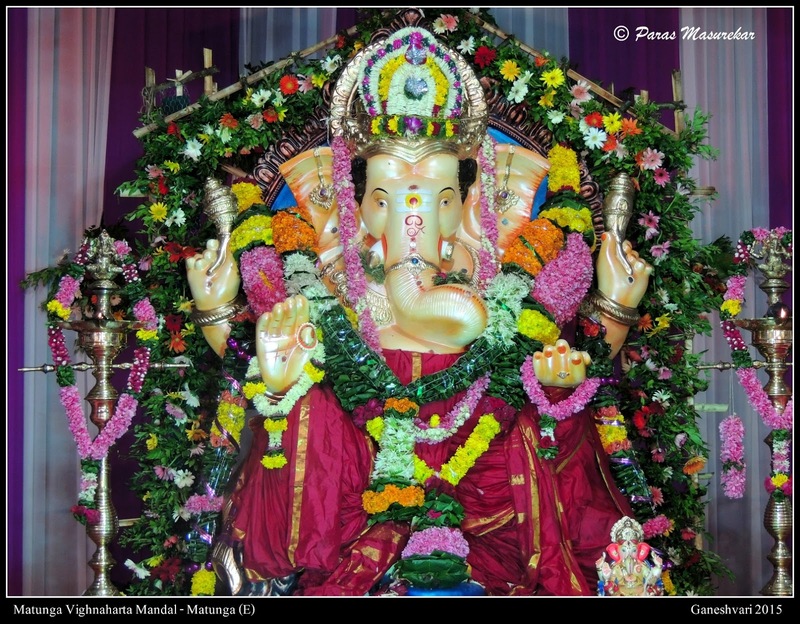 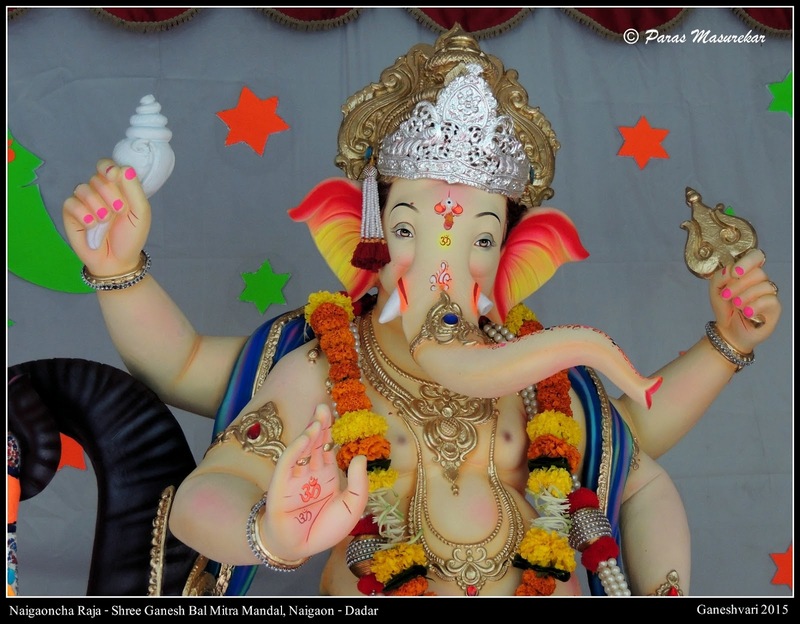 The appearance of their Idol is the same every year - a fair coloured Bappa. 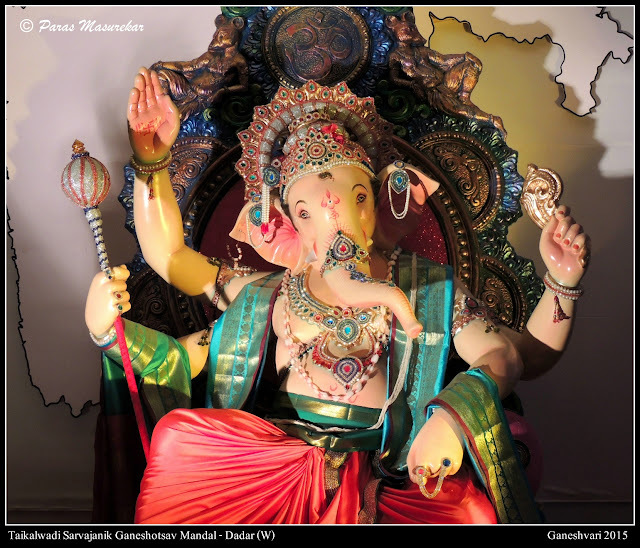 Taikalwadi Dadar - Just look at his ornaments & the grace with which he carries it ! 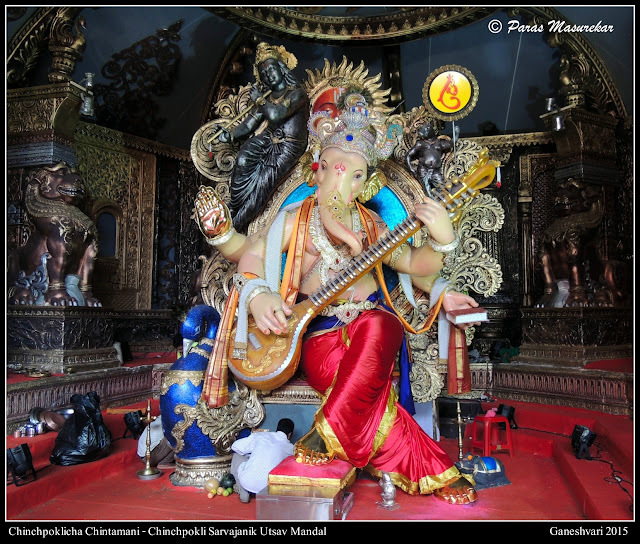 Chinchpokli cha Chintamani - The most adorable Idol of this year. 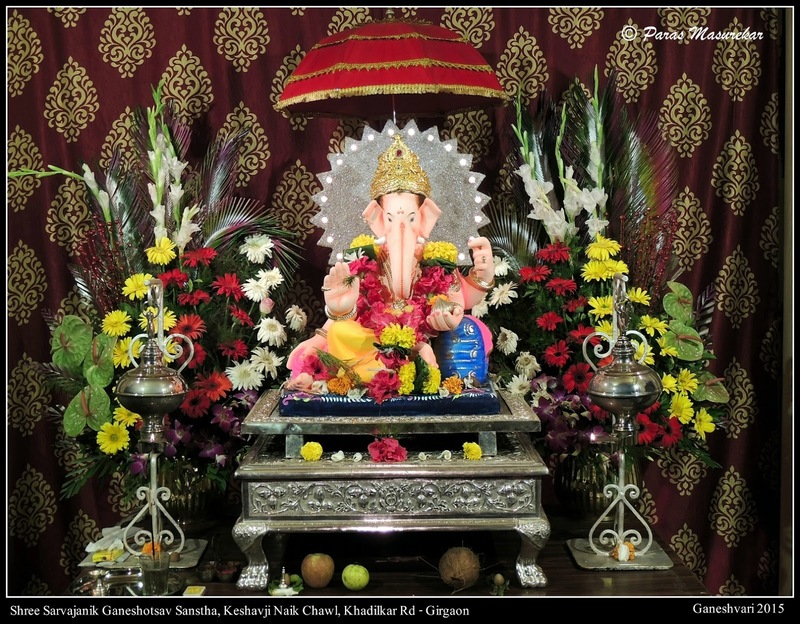 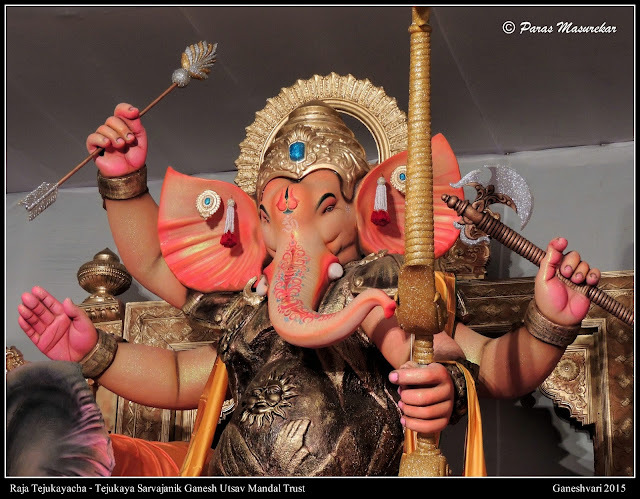 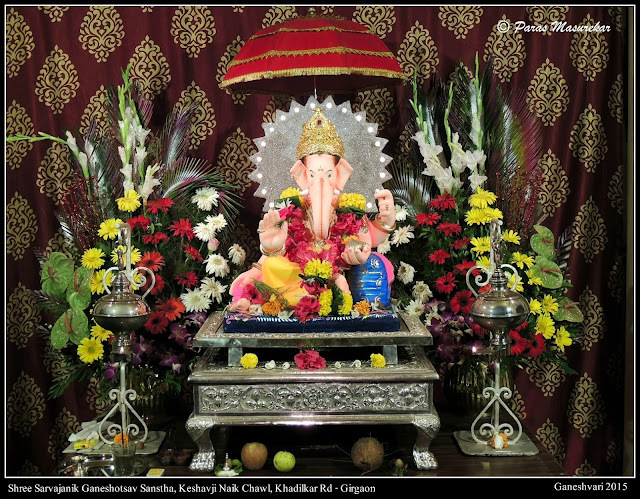 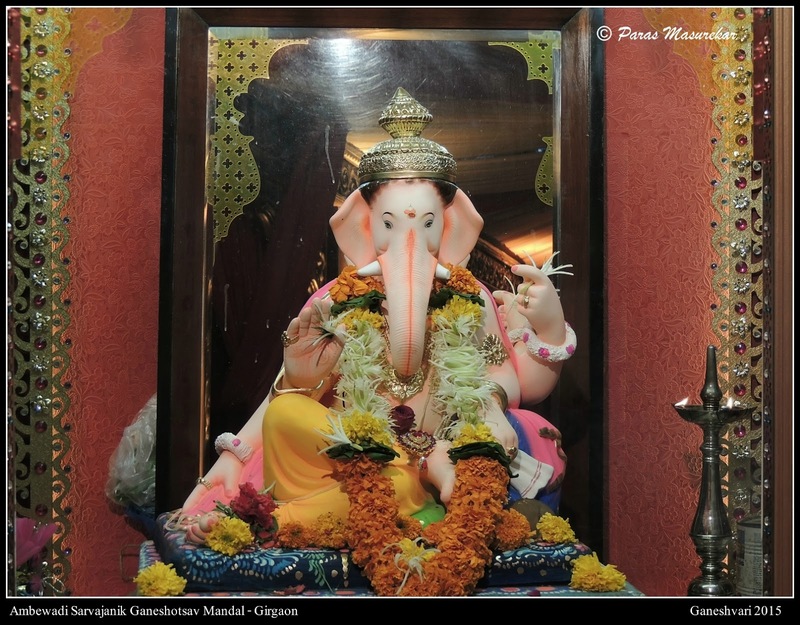 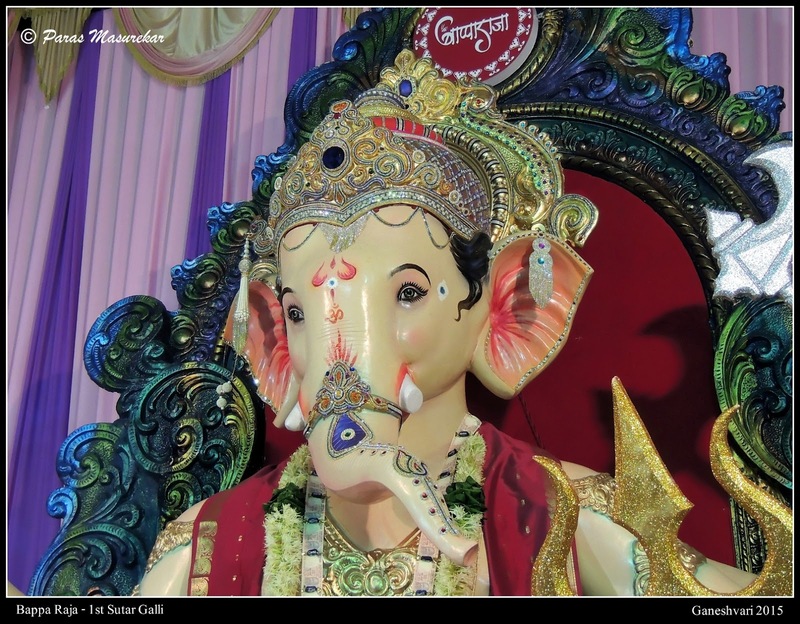 And yes with its Online popularity, Chintamani is the most loved Bappa !